The healthcare industry makes a lasting impact on local communities and beyond – and with all this power comes the need for an equally powerful brand identity. Between patient care, managing physicians and staff, aligning with board members and community outreach, healthcare providers have a lot on their plate, and there’s rarely time to worry about implementing a social media strategy or developing marketing materials. Saving lives is your top priority, and, while you’re busy making the world a happier, healthier place, Orange Label is here to ensure your healthcare brand reaches new patients, resonates with target demographics and establishes lasting brand value. Whether a hospital, health system, wellness brand, medical device or a pharmaceutical company, our response marketing team is focused on maximizing market share and reaching target audiences with intelligent marketing strategies and strong brand messaging. Through actionable strategy and forward-thinking creative, Orange Label clients have seen success on local, regional and national levels. Based in Stockton, California, Dameron Hospital has over 100 years of healthcare experience under its belt. Yet, over the decades, the brand had lost touch with the local community and was in need of a brand refresh. After applying the results of the Orange Label Approach to Dameron Hospital’s marketing goals and objectives, Orange Label unveiled the brand’s new look with the launch of their award-winning Orthopedic service line. 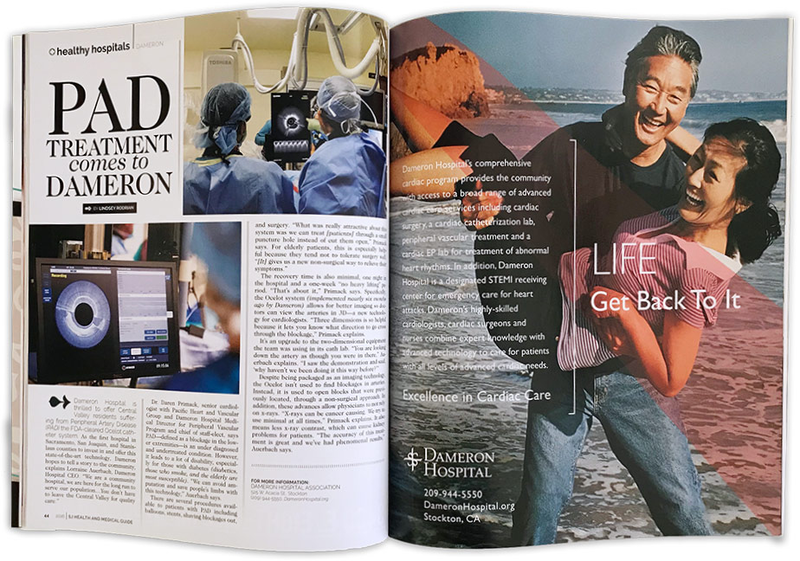 Since the launch, Orange Label effectively carried the brand messaging across five additional services line campaigns with an even stronger marketing presence, which has helped Dameron Hospital become a local source of pride in the community. With locations in Northern and Southern California, Daughters of Charity Health System required a unified brand message and look that would resonate with communities across the state. Concentrating on three unique, Northern California locations – O’Connor Hospital, Saint Louise Regional Hospital and DCHS Medical Foundation – Orange Label was able to define a cohesive message that would appeal to a wide audience in an authentic way. 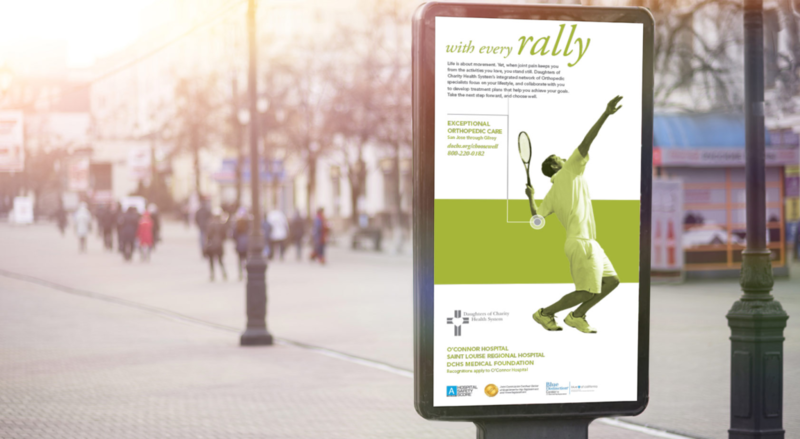 To expand reach as far as possible, Orange Label executed a 12-month integrated marketing and advertising calendar that incorporated a mix of radio, print, outdoor advertising, direct marketing and digital media. As a result, O’Connor Hospital, Saint Louise Regional Hospital and DCHS Medical Foundation saw an increase in class/seminar attendance, website traffic, phone call volume and patient volume. Established in 2002, Morningside Recovery provides clients with comprehensive addiction recovery treatment in the heart of Orange County, California. From comprehensive treatment to modern living spaces, the treatment center offers every resource needed to assist with a fast and long-term recovery. Yet, for all of these contemporary amenities and care options, Morningside Recovery was lacking the brand recognition it needed to become a leading resource for addiction recovery. Orange Label recommended a fresh, millennial-focused approach that would catch the attention of Morningside Recovery’s core demographic. After developing a detailed Marketing Execution Strategy, Orange Label implemented this brand refresh on multiple platforms, including social media. 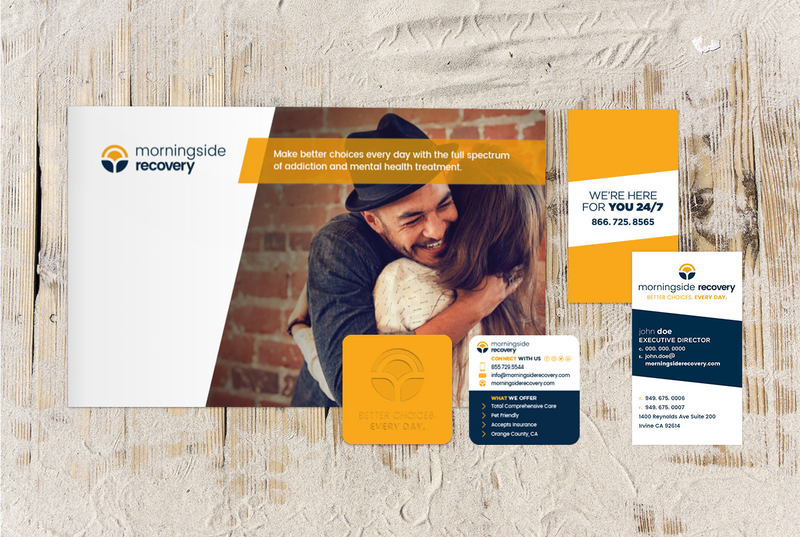 Through this expanded marketing effort and new look and feel, Morningside Recovery was able to reach more prospective clients and secure an ongoing influx of qualified leads. For more client success stories, click here. To partner with Orange Label, call (949) 631-9900.